Excellent service experience from drop off to pickup ! Tom Palmero kept me informed throughout the day on the statues of repairs, and had the foresight to arrange for a loaner car without my even requesting one. Kudos to Tom and the service team! 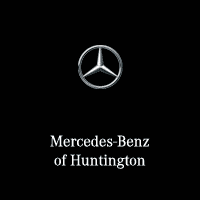 I DROP MY CAR FOR SOME MINOR ADJUSTMENTS AFTER I TAKE DELIVERY OF MY NEW CAR AND JOSEPH GONCALVES GIVE ME AN EXCEPTIONAL SERVICE EVERYTHING WAS DONE PERFECT HOW I LIKE IT. Marie Davi in the Service Dept is THE best, period. Always satisfied with service provided. From drop off, to follow up, to pick. Promptness is extremely important and something that is never lacking at this facility. Highly recommended. Best Dealership! Great service & the team makes every transaction painless! Marie Davi is a great Advisor...very accommodating and so sweet to deal with while servicing your car! I highly recommend the dealer ship the salesmen are very polite. As well as the reception desk they are very respectful. And it is a very clean area. Also they do have a little gift shop which I personally found pretty interesting because they had a facts wall.They also have a chill lounge with beverages and bagels and a T.V they also have little tables for you to sit. Very satisfied , got two cars this year and maybe another one soon. We had a very positive experience purchasing our new CLS. Our salesman Evan, the business office manager Spence, and Connie who explained to us the car's features: they were all very professional, thorough and responsive. We had a great experience with this dealership.